Now the world political climate is heated up around the poisoning case of Sergei Skripal and his daughter Yulia. Both were found slumped on bench in Salisbury few days ago. The United Kingdom suspects Russia of poisoning both of them with a military grade nerve agent known as Novichok. Russian president Vladimir Putin has responded by calling the UK government not to make preliminary assumptions and to focus on investigation rather than putting finger on Russia. While UK is conducting investigation the question is who has the biggest motive to kill Skripal? Before getting to motives let’s start with the basic facts. Sergei Skripal was born and bred in Russian, he was a Russian. He worked for Russian spy agency, he was tasked with stealing information from UK and may be from other European countries as well. After spending some time in his secret agent’s job Skripal flipped the side. He wanted to live and work in UK. So, he managed to get UK passport and to live he had to do some work and there was only one thing he was good at. Now the Russian-born agent started spying on Russia and providing secret information to UK. Thus, becoming a double agent. When it comes to personal life everyone wants to live in peace. If Skripal ever goes back to Russia he would be arrested and prosecuted. He may be able to go out of UK, to other European countries. But, UK may be the safest place for him to remain for the rest of his life. The motive for Russia is that they may want to teach a lesson for potential agents who are thinking of flipping the side and become double agents in the future. It makes perfect sense. But, this is just a motive, far from any solid proof. 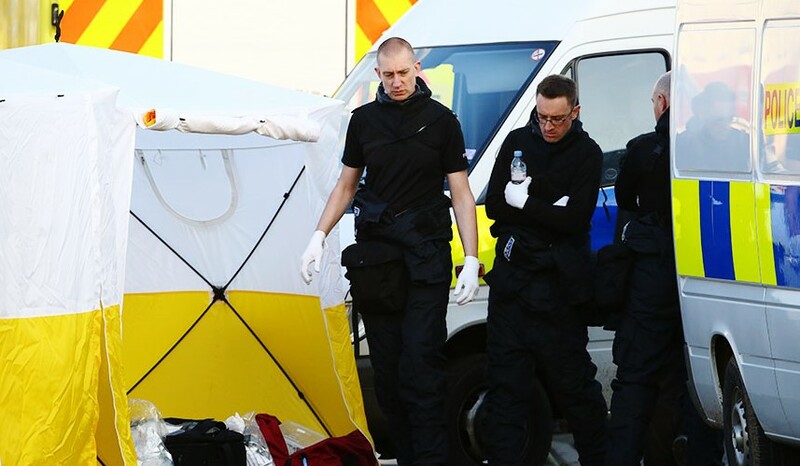 Does UK have any motive to kill Skripal? Skripal started his career as a spy on UK. After flipping the side what did Skripal give back to UK in exchange of English passport? It must be something reasonable, something that had justifiable value. Secret information about Russia was so much of value to UK? It makes sense to believe the UK highly values secret information about Russia. So far all the motives are strongly pointing finger on Russia. Russian Foreign Minister Sergei Lavrov said the motive could be to complicate Russia hosting the next world cup. To me, this looks like something, but still not solid enough. What else could be more solid? Sergei Skripal started his spying career as a Russian spy. It is my logic that tells me Russia may have given him a special vaccination to protect him from chemical agents used by other governments. If UK is developing a chemical to poison Russian agents the UK will have to make something that destroys the antibodies of Russian vaccines. Sergei Skripal in that case becomes the perfect lab-rat to test such a nerve agent. After all, UK knows they can easily point finger at Russia and make a clean getaway. Why wouldn’t the UK test a nerve gas on Skripal? After many years he might have given everything to UK. Once you tell every you know, you are totally useless. While there are motives to put the blame on Russian there are also motives to blame UK. The poor fellow is now worth nothing and any side could have used him for their potential. Since he lives in UK they are the ones who have more easy access. After all, UK can make a clean getaway. That’s happening right now. The US, Germany and France have blamed Russia, all without a single forensic clue, let alone proof. Did UK just use Skripal as a lab-rat to test its own nerve agent? If UK in fact did it, they would most likely refrain from providing any blood sample to Russia to carry out their own testing. UK might give to their UK-based private labs, as you know if you attach the sample with a bundle of cash it works in your favour. I am not here to save Russian, or the UK. But, applying some logic to a vast spiral of rhetoric successfully initiated by the UK sounded like needing a logical mind to put forth an analysis, so I did. Photo on top by Geoff Caddick / AFP. Next Next post: Do you actually need Ice Skating in the Maldives?